We are excited to open applications for the 2018-19 Overflow Internship Team!!! It takes a lot of people to make Overflow what it is. With that in mind we are looking for highly motivated, organized, relational, hard working students to join our Overflow Intern Team! The Overflow Intern Team is a collection of college students who unite under a common vision to be a champion for Overflow, to be a voice for our students, and to be an extension of the staff. College students who apply and are accepted will quickly find themselves a part of a team and welcomed into a family! Interns will work together to accomplish team tasks, while also serving a specific role under the leadership of an Overflow Staff member. Time on the Overflow Intern Team will provide students with an incredible experience and valuable training in ministry, leadership, and life! The ideal commitment is for the entire 2018-19 school year- this will be a large factor in choosing our interns for next year. However, there could be exceptions made for students who can only fully commit to one semester (due to graduation or school major requirements). These internships are unpaid and require approximately 10 hours a week- the largest chunk of that time focused on Tuesday night services. If you are interested in joining our intern team, please fill out this short application. Also, if you are interested, check out some of the specific areas we are looking for intern help in the section below. Applications are due by May 31st. If you have any questions, please email Zack.Hamby@portcitychurch.org. Our internship positions will not be limited to these specific roles, but these are some of our anticipated ministry needs! Host Team – Create welcoming environments where students know and believe “they belong here”! Host Team Interns work to create engaging and welcoming environments every night at Overflow. An environment where every student can believe “they belong”. These Interns set-up all Host Team spaces, they will organize, build, and communicate with their specific team of students, they will lead Host Team meetings, and facilitate and manage volunteers and environments. Connect – Lead the charge in helping students to find their place at Overflow! 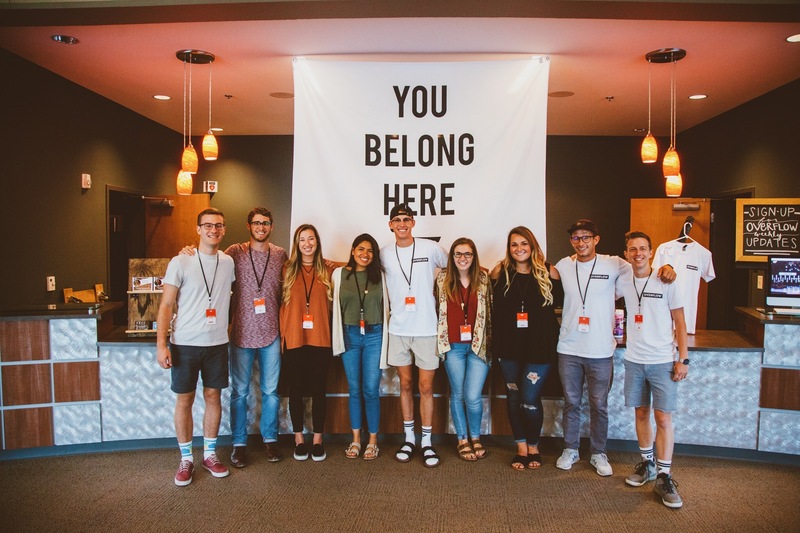 Connect Interns lead the charge in helping students to find their place at Overflow! The ultimate goal is to connect students into their next step in their walk with Christ. There is a large focus on helping students to relationally connect with their peers and/or with a leader at Overflow. These Interns will set up all Connect spaces, coordinate Connect volunteers, and facilitate clean-up of environments after Overflow! Hospitality – Cultivate atmospheres where team members, guests, and staff feel like family! Hospitality Interns cultivate friendly and generous atmospheres where team members, guest speakers, and staff feel like family! A green room culture like this allows the Overflow band and communicators to focus on leading students close to Jesus! These Interns will set up all backstage spaces, coordinate Hospitality volunteers in preparation of Tuesday night dinners, host guest speakers, and facilitate the clean-up of spaces after Overflow. Media – Produce content that capture students attention and deliver clear messages! Media Interns work with staff to produce content that capture students attention and deliver a clear message. These Interns will help design social media content, photography, videography, print material, graphic content for Tuesday night services, and assist the Intern Team in set up and clean up of all environments at Overflow. Production – Facilitate engaging worship experiences where students can encounter Jesus! Production Interns lead the way to create engaging worship experiences where students are free to have real Jesus encounters. Worship experiences that are authentic, accessible, and applicable to everyday life. These Interns will set up all Production spaces, learn and serve in various production roles, and clean up environments after Overflow. Thanks for your interest! Let us know if you have any questions. http://i0.wp.com/overflow.portcitychurch.org/wp-content/uploads/2018/04/Photo-Sep-12-5-25-26-PM.jpg?fit=2048%2C1365 1365 2048 Zack Hamby http://overflow.portcitychurch.org/wp-content/uploads/2015/01/logo2.png Zack Hamby2018-04-11 17:14:472018-04-30 11:32:10Overflow Internship 2018-19!